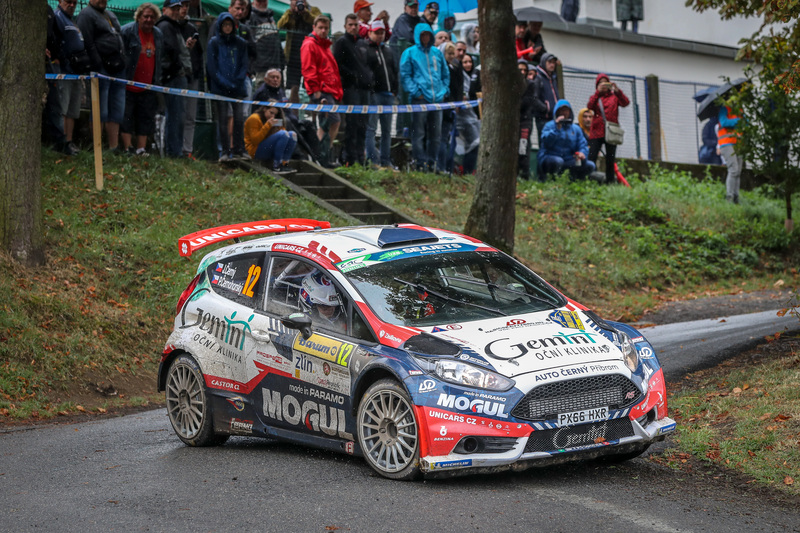 Jan Černý’s home round of the FIA ERC Junior Under 28 Championship was effectively over just after it had begun thanks to a mechanical failure on the very first stage. Černý, who is part of his country’s federation-backed ACCR Czech Rally Team, was forced to complete the event under Rally2 rules following a troubled run through the Zlín street stage on Friday night. With his hopes of a strong result over, Barum Czech Rally Zlín turned into an exercise of damage limitation. “It was the first proper stage [on Saturday] and I used the wet tyre, which I don’t really like. When I changed for the slick one it was quite good with good times in the top five. But then we had a puncture and lost more time.